The Chinese government has launched a new initiative that will use “big data” to improve intelligence gathering for counterterrorism operations — most likely to focus on activity among the Muslim ethnic Uighur groups in the nation’s Western Xinjang region. The new “joint mechanism” for intelligence gathering to “smash violent terrorist” activities before they are occur is announced by China’s Minister of Public Security Guo Shengkun. Mr. Guo did not specify which government departments will take part in the intelligence sharing mechanism but said Chinese authorities should use “big data and information technologies” to enhance coordination, sharing and research of “anti-terrorism intelligence,” the Xinhua report said. news came after the jointcooperation between China and the United States in fighting global terrorism. 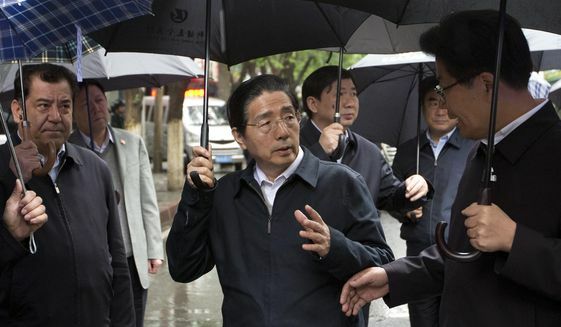 Chinese authorities have engaged in a security crackdown in the Xinjang region during recent months, following a grisly incident in July when a knife-wielding gang attacked several government buildings, including a police station in the region. Dozens were killed in the attacks, which occurred just a day before Eid al-Fitr, marking the end of the Muslim holy month of Ramadan. Chinese authorities subsequently described the incident as a “terrorist attack,” according to a Xinhua report at the time.